Since we copyrighted the name 'The Renaissance Man', we are like hawks when we see anyone/anything which tries to identify with the name. 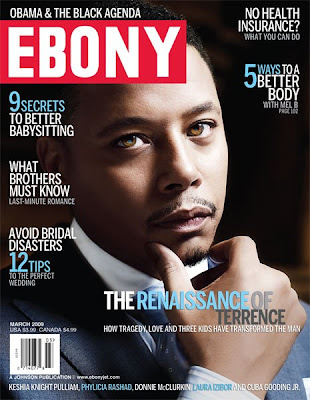 Terence Howard's cover in the new Ebony Magazine 'The Renaissance of Terence' on the other hand, is just fine by us. We need more name association of this calibre.